There are several factors that need to be considered when selecting a phase change material. An ideal PCM will have high heat of fusion, high thermal conductivity, high specific heat and density, long term reliability during repeated cycling, and dependable freezing behavior. In Table 1, green indicates attractive features, while red indicates challenges. You can also reference our PCM Heat Sink Calculator to find the right material for your application. Fig 1. Close-up image of internal PCM, including void space to allow for PCM volume change. There are several classes of phase change materials. Paraffin waxes are the most common PCM for electronics thermal management because they have a high heat of fusion per unit weight, have a large melting point selection, provide dependable cycling, are non-corrosive and are chemically inert. According to our in-house PCM experts, when designing with paraffin PCM, void management is important due to the volume change from solid to liquid (see Figure 1). Paraffin PCM’s also have a low thermal conductivity, so designing sufficient conduction paths is another key design consideration. Hydrated salts are another category. These PCM’s have a high heat of fusion per unit weight and volume, have a relatively high thermal conductivity for non-metals, and show small volume changes between solid and liquid phases. These are not commonly used for electronics heat sinks, since they are corrosive and long term reliability (thousands of cycles) is uncertain. The most common application is for very large thermal storage applications (e.g., solar heating), where much lower cost is very attractive. 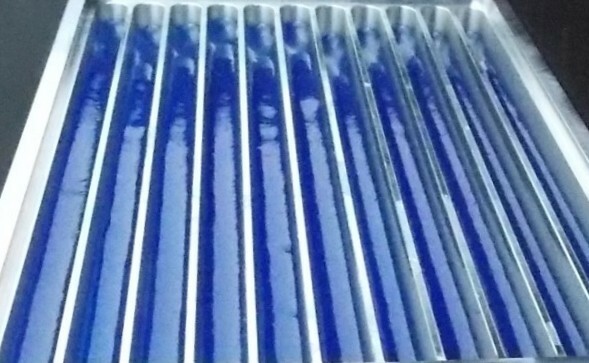 Other PCM materials such as non-paraffin organics, and liquid-to-gas phase change materials are available, but are not often used for electronics heat sinks. Metallic PCMs are generally used at high temperatures, where no suitable paraffin wax is available. Table 1. PCM Types Include Paraffin Waxes, Non-Paraffin Organics, Hydrated Salts, and Metallics. Heat of Fusion High High High Med. Paraffins are most common PCM for electronics thermal management. They are chemically compatible with most metals. They have large latent heat and can be obtained over a wide temperature range. Table 2 shows some high purity paraffin waxes used in many electronics applications. Temperature ranges of 72-76°C, 66-70°C and 59-66°C are good to ensure safe operation of many electronic devices. Many other PCM choices are also available, with melting points differing by a few degrees from -9°C to 90°C. Table 2. Typical Paraffin Wax PCMs.